Some time back, I was at a children’s party. The adults were milling around half chatting and half watching the children “compete” in the usual party games. At the end of the games, the party emcee made sure that every child had “won” a prize. That comment brought me back years to my own childhood. I thought of the many times when I went home empty-handed because I didn’t win. Sure it was disappointing but I can hardly say that I was scarred by it. What happened to make us so worried about our children that we can’t even send them home from a party without a prize? We talk about how important it is for children to face adversity – doesn’t it seem contrary to give every child a prize, regardless of whether they deserved it? I have heard more than one parent complain about how “kids these days only need to turn up to get a medal”. Some years ago, one of my ex-companies had a intra-company sports event. There were trials to pick the best players for each sport and I made it onto the archery team. On competition day, all my arrows kept missing the mark. It seemed like the more I missed, the worse I got and no matter how hard I tried, I couldn’t nail a single bulls-eye. By the end of the competition, I had lost all my confidence. How had I had done so well in the trials? Did I fluke them? I had no words because I didn’t know why either. Then another colleague explained it to me. My problem was that I didn’t have a game head. In other words, I fell apart the moment the pressure to compete was on. Years ago, I remember watching a program on TV where the presenter pointed out how even Madonna was trembling with nerves while she waited on stage to start her performance. Yes, we’re talking about Madonna, one of the top 10 music divas of all time. If Madonna can feel the butterflies even after all her years of experience, I think we can be assured that it isn’t a matter of learning how to eliminate the butterflies but rather learning “how to get them to fly in formation“. And not just occasionally but regularly. Competition for Good or Bad? when children pin winning to their self-worth – e.g. “if I don’t win, I’m lousy”. if parents are more invested in the competition than their children. when the competition is all about winning “whatever the cost”. when the stress of competing overwhelms the child’s coping ability. A “fighting chance” – it’s not so much about winning or losing but knowing you have a shot at winning. Although it should be noted that it is okay for kids to be the underdog from time to time – it helps them learn to work hard even when they are not the best. Finite games with pressure that ebbs and flows – the danger with stress and pressure is when it doesn’t let up. Without the break for recuperation, pressure can be bad. What’s good about competitive games is that even though they create pressure, there is an end point to that pressure. Additionally, the friendship and camaraderie associated with these games can also help to buffer the stress of competing. Like many things in life, competition can be good or bad for kids depending on how it’s handled. When it’s done right, children stand to gain a lot from the experience. As long as we are aware of the pitfalls and how to avoid them, competition is a terrific life experience that we should encourage all children to have. In a competitive situation our bodies can experience the same level of stress hormones as jumping out of a plane. 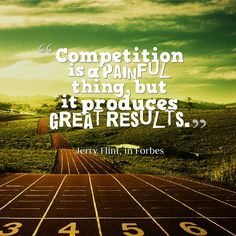 Competition is often the key to outstanding achievement. But what is it that makes the difference between rising to the challenge and buckling under pressure? 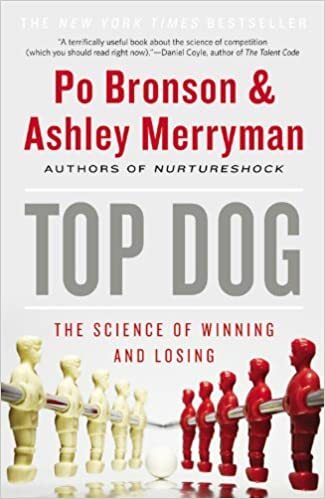 Using groundbreaking studies in diverse scientific fields, Bronson and Merryman demonstrate that understanding how to harness our competitive fire means we can perform our best – whether the contest is sporting, academic or in the workplace. Why are men typically prepared to gamble on long or even stupid odds and women aren’t? Why do some less talented students consistently outperform their smarter class mates in crucial exams? Why do higher levels of testosterone actually make you less selfish and more cooperative and cognitively astute? Why do so many market-leading companies cede their top position because they become risk averse at the wrong times? Why do sports teams where the pay differential between players is the greatest win more?